While the market for healthcare jobs is strong, it’s still necessary to have a great resume if you want to get your foot in the door for a job as a pharmacist. Hiring managers still receive many more applicants for each open position, and they don’t always have the time to go through every single resume. Employers want to see powerful details that prove why you’re the right candidate for the open position. You can show them this information if you have a sound strategy when writing your resume. The best method to get your resume up to this task is to use plenty of great examples, including ones specifically for your field. Here, you can see a complete guide to writing this type of resume along with complete pharmacist resume templates to make your document unforgettable. 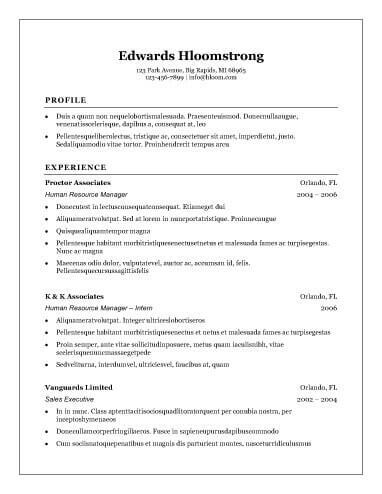 Why Use Pharmacist Resume Templates? There are certain rules that most jobseekers follow when writing a resume for a traditional industry, such as healthcare. Make multiple versions of your resume easily without starting from scratch. Get the perfect example of the right format and layout. See industry-specific language and details. Learn about best practices with wording and phrasing for your field. The most popular type of pharmacist resume templates is the conventional chronological styles. A chronological resume typically details a candidate’s career history in reverse, starting with the most recent job. With this type of resume, you must work to show off your greatest achievements in your work history. Avoid creating a boring list of duties and responsibilities. Entry-level candidates may also have a challenge when writing their resume. Often, job postings require some level of experience or time in the industry. If you focus on answering some of the requirements of the job posting and give compelling evidence as to why someone should hire you in your professional statement and list of skills, you can prove to hiring managers that you are a solid candidate. The basic rule of thumb for a resume is to generally keep it to one page. For pharmacist candidates just starting out, it may be wise to go with a one-page resume. You can use pharmacist resume templates as a guide to generate information for your document. Limit your resume to the most relevant jobs and experiences to keep everything compact on one page. For this industry, there’s no need to create a resume with fancy fonts, design elements, or gimmicks. Hiring managers want to see the basic information about what your professional talents are, so going with a tried and true pharmacist resume is wise. In this field, it’s about what you know, your background, and your experiences, so this strategy for resume writing works. Tried and true pharmacist resume templates can help. Pharmacists candidates just graduating from college programs also need to have a specific style for their resume. Unlike a seasoned industry veteran, new graduates need to focus on pointing out their skills and talents instead of listing each job experience. A functional resume may work in this situation and give hiring managers a better idea of what applicants are truly capable of. No resume can generate successful leads without a complete section that gives all your contact information. Your resume should begin with your name, phone number, email address, and the city and state in which you live. There’s no need to include a detailed home address. If you have a professional social media presence, you should also include links to those accounts. Candidates should also focus on crafting a compelling summary or objective statement. This statement sits at the top of your resume and can help pull in some readers who may be looking for someone like you. Most applicants should write a summary statement, which gives details about what makes them unique. Career changers, interns, or new graduates can write an objective statement to give hiring managers an idea of what they are looking for. The next section of your resume, the skills section, can give you an opportunity to go into more detail beyond your summary statement or objective statement. You can also take advantage of computerized Applicant Tracking Systems and put multiple keywords from the job posting in your skills list. Aim to be as specific as possible when listing your skills, but limit your list to no more than six details. Then, you should focus on your work experience. Present information that aligns with the job posting when it comes to required skills and competencies. Show what noteworthy achievements you’ve made in the past that have been noteworthy when listing your work history. That means including information such as promotions, advancement, and recognition. The last section of the resume is the educational history section. For those looking for jobs in the pharmacy field, it’s important to include academic credentials that match what the employer requires. List your highest level of education along with important certifications and training. Besides using pharmacist resume templates, you can find personalized assistance with our resume builder. The resume builder makes it easy and convenient to get all your information presented in a professional resume fast. You don’t have to have talent in creating unique written layouts or formatting your document to get the most from this resume builder.